Grossmont College scene from homepage. Grossmont College is one of 11 schools chosen to participate in the 2017 – 2018 OpenStax Institutional Partnership Program to encourage use of free, peer-reviewed textbooks on campus. Grossmont College was chosen to participate in this strategic partnership with OpenStax after a rigorous application process that included demonstrating willingness to drive adoption of open educational resources (OER). Institutional partners will receive individualized consulting from OpenStax and join a cohort of schools advocating widespread use of OER at their schools. Last year’s institutional partner schools have seen a 55 percent increase in the amount of students using OER, saving an additional $1.7 million in the coming academic year. The high cost of traditional textbooks—an average of somewhere between $600 and $1,400 per student each year, according to studies by NACS and the College Board—not only impacts students’ ability to attend college but also their ability to continue and complete coursework. Open educational resources, including the free, peer-reviewed textbooks offered by OpenStax, eliminate cost barriers for students and allow unrestricted, immediate access to learning materials, increasing the likelihood for students to complete their courses successfully. 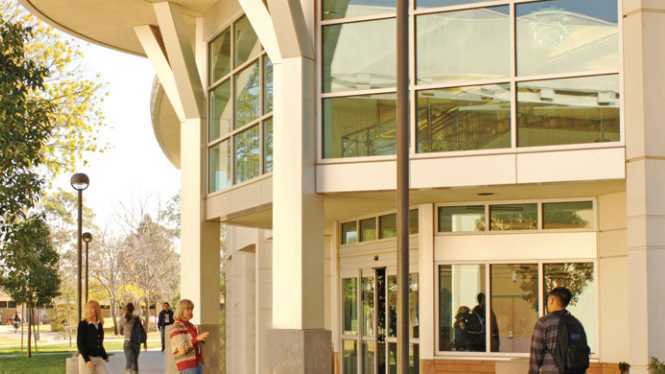 Grossmont College is committed to student success by reducing high textbook costs for students while still presenting high quality content and protecting academic freedom. Grossmont College appreciates that OpenStax books meet standard scope and sequence requirements, are peer-reviewed by educators, and are easy to implement. They are comparable to textbooks that cost $200 or more and are available for free online and in PDF, and are available at very low cost in print. For more information on Grossmont College’s open educational resource initiative, visit Grossmont.edu/oer.